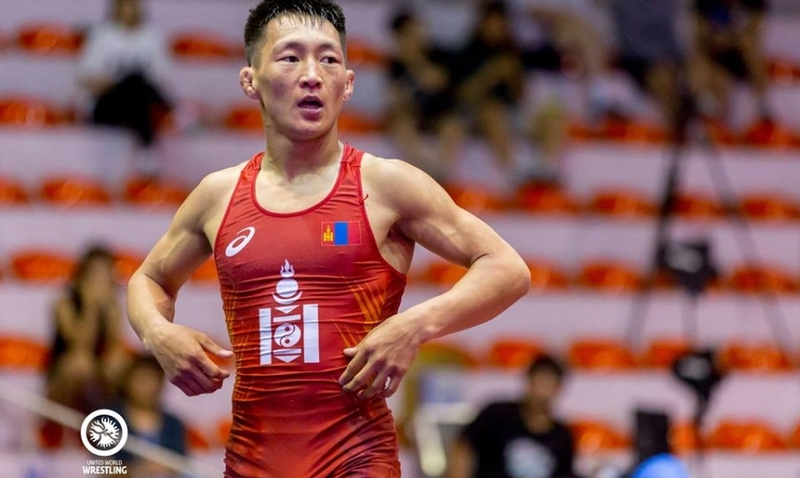 AKIPRESS.COM - Mongolian wrestlers claimed two gold medals, one silver and three bronze at the Asian Junior Freestyle Wrestling Championships in Taiwan, state news agency reported. N. Nasanbuyan in the men’s 50 kg and B.Tsetsegbayar in the women’s 72 category won gold medals, becoming the 12th and 13th Asian junior champions from Mongolia, Montsame news agency reported. M.Lhagvagerel became silver medalist in the men’s 120 kg, while bronze medalists were B.Ariunbold (55 kg), M.Tsogtgerel (84 kg) and B.Chimgee (women’s 48 kg). 168 male and female wrestlers from 18 countries including Iran, China, South Korea, Japan, Uzbekistan, Kazakhstan, Kyrgyzstan, Tajikistan, Turkmenistan and India competed in 8 weight categories in the championship, held on 15-18 June in Taichung, Taiwan.